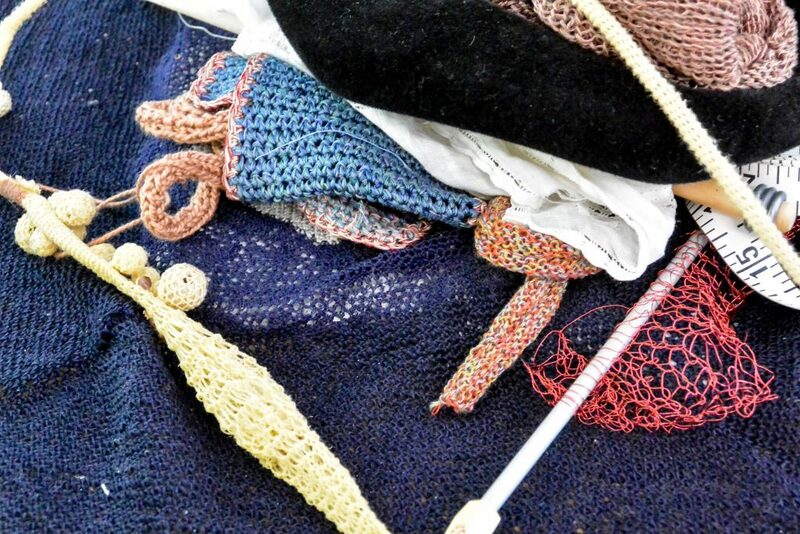 This week, we stopped by Norma Minkowitz’s studio to pick up a few new pieces. Minkowitz, who has worked with browngrotta arts for over 20 years, is not afraid to let her imagination run wild. 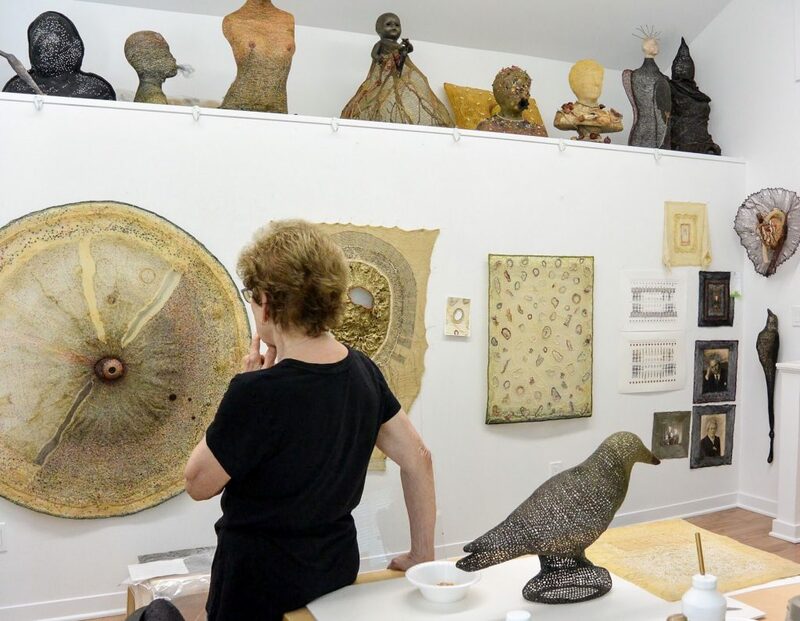 Minkowitz’s studio, which was built by her husband Shelly, is a place like no other. Norma Minkowitz in her studio. Immediately upon entering you are exposed to a vast array of Minkowitz’s work. 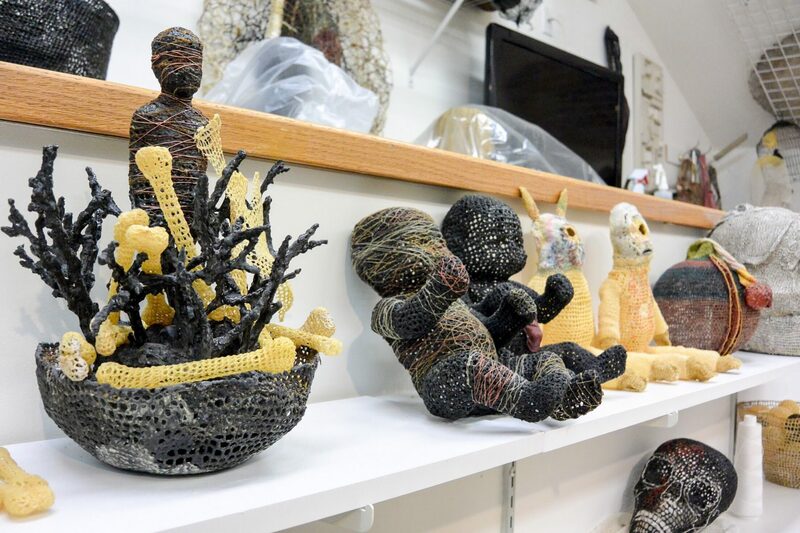 Pen and ink drawings, crocheted wall hangings and figures, collages and three-dimensional mixed media sculptures are scattered throughout the studio. Crocheted birds in various stages of progress sit in flocks on tables and shelves. Various sized models of heads peer down at the happenings beneath them. The heads, some of which are models of Minkowtiz’s own head (some shrunken and some enlarged), are used to create pieces such as Victim. Below the heads sits Minkowitz’ “cabinets of curiosity.” The contents of every cabinet drawer are a surprise. 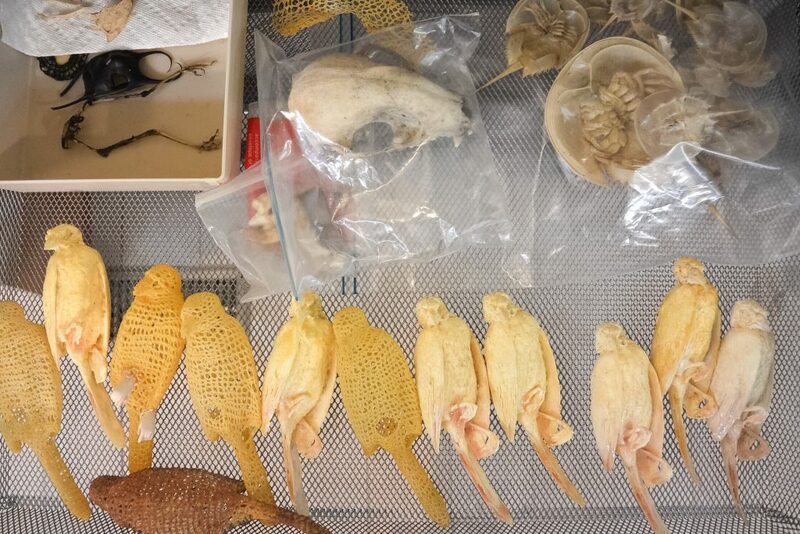 In one drawer, crocheted dead birds and the molds that were used to created them sit beside horseshoe crab skeletons. Whether you find doll heads with crocheted bodies or small animal bones, you are sure to stumble upon oddities of all sorts. 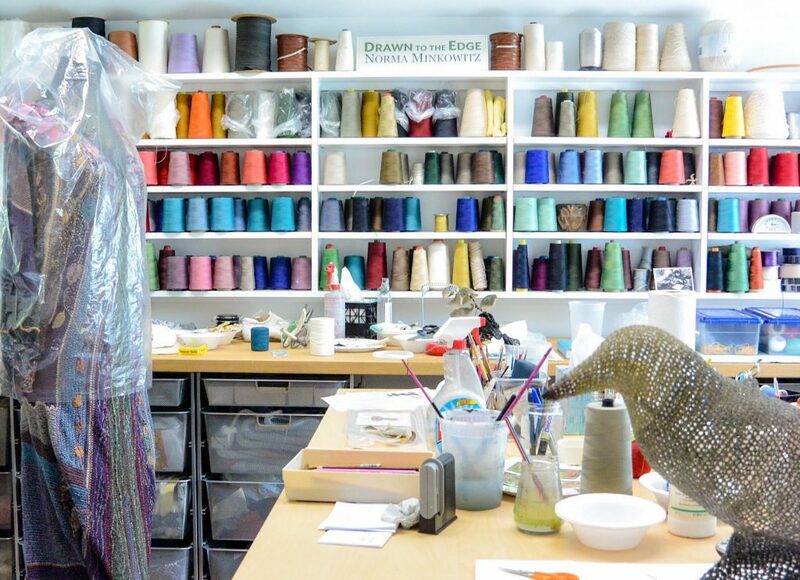 A few steps over in the other side of Minkowitz’s studio, a wall of shelves holding various spools of thread spans the width of the room. Underneath, drawers house hundreds of bundles of thread in every color imaginable. 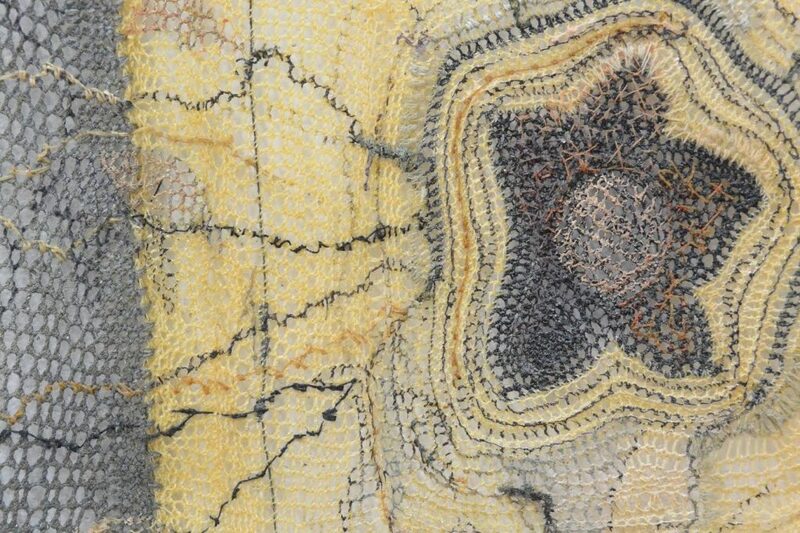 Minkowitz incorporates detailed embroidery in much of her work, carefully choosing the colors and types of stitches for each piece. For example, while working on Русское сердце (Russian Heart), a piece inspired by her mother, Minkowitz carefully selected a color palette that mirrored the colors her mother wore throughout her life.